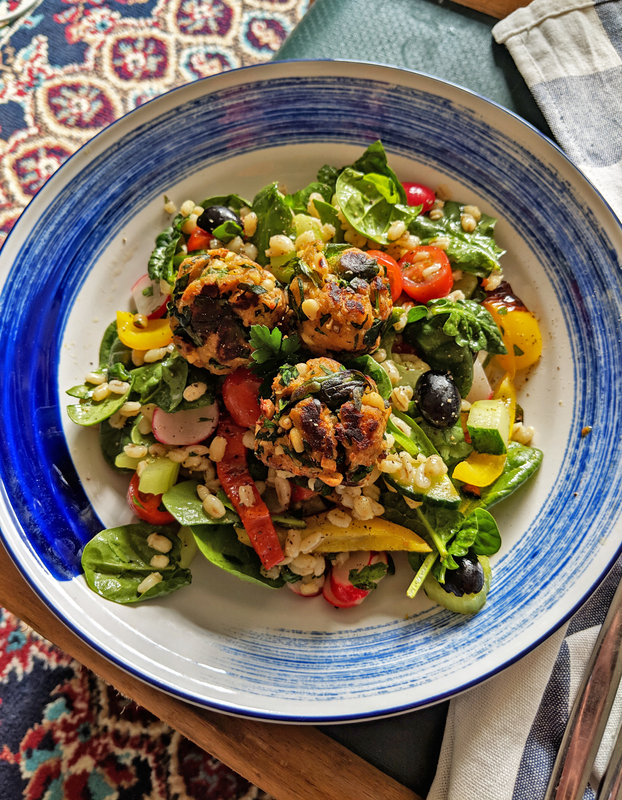 I was given the recipe for these spinach and pine nut veggie meatballs, at a Linda McCartney event I attended recently – Linda’s Veggie Table. 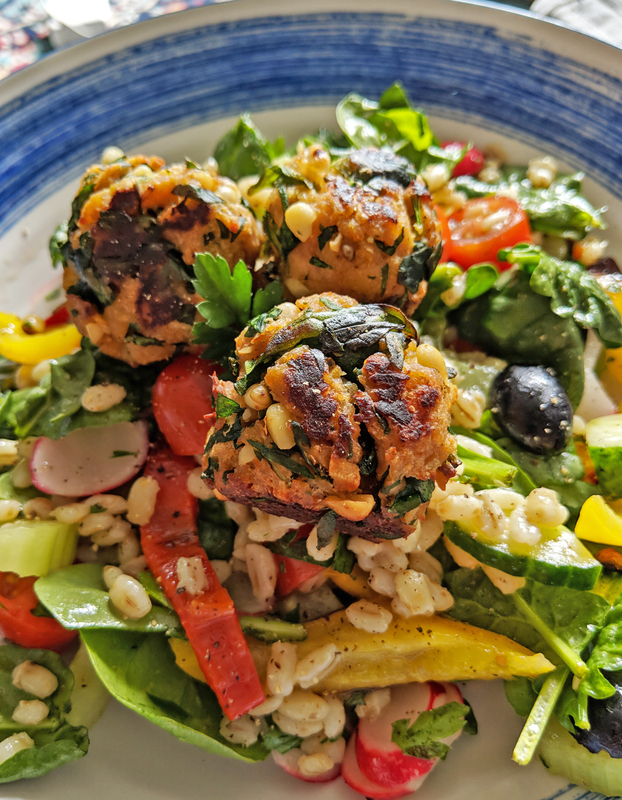 Using Linda McCartney’s vegetarian sausages, these tasty meatballs are super easy to make, and surprisingly taste a lot like meat! The texture is almost identical to authentic meatballs, which is a little odd at first, but they taste great. The addition of spinach and pine nuts works perfectly too. 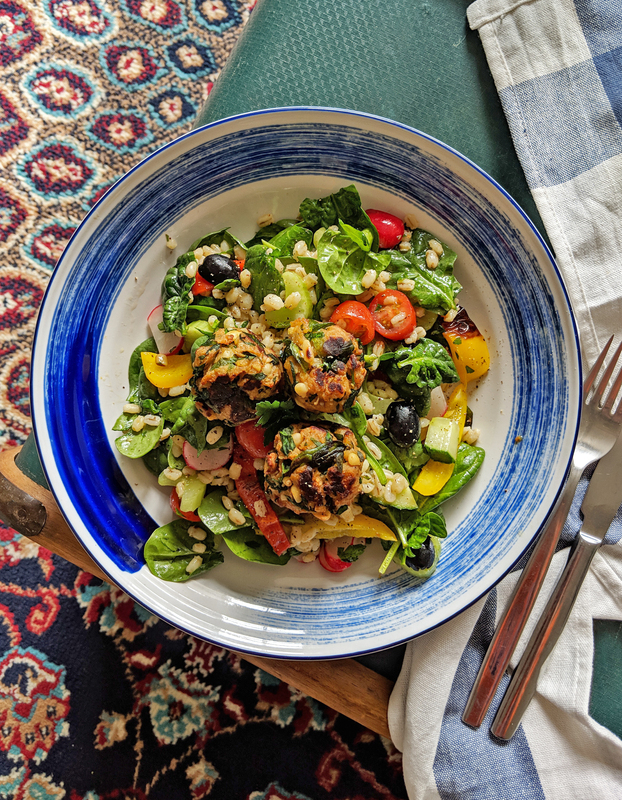 We served ours with a pearl barley salad for lunch, and kept leftovers for our work lunches throughout the week. However you could eat them warm as dinner, with spaghetti and a homemade veggie sauce. Place all of the meatball ingredients into a bowl with 1 tbsp olive oil. Mix thoroughly, rolling into balls of the same size. Add a splash of oil to a hot frying pan and fry the balls on each side until browned. This will help seal all of the ingredients together. If some of bits crumble or fall away, don’t worry. Remove the balls from the pan and place on a baking tray. Bake for 10 minutes in the hot oven. Serve with barley wheat salad as a lunch dish, or alternatively you could eat them hot for dinner with spaghetti and a homemade pasta sauce.